The most affordable web hosting plan. Ideal for smaller websites and getting started. Looking for perfectly balanced and cost-efficient web hosting? This one is for you. Designed for businesses. High performance web hosting for busy websites. We have three different plans to choose from depending on your needs – starting from just $4.99/mo. All our web hosting plans are powered by CloudLinux, cPanel, LiteSpeed web server, and advanced real-time anti-malware scanner. Everything we do is fast. From the fastest web servers, to the fastest support to getting you online even quicker, we’re all about speed. We setup your web hosting within minutes of you signing up. Other web hosts take holidays. We don’t. Our Customer Service and System Admin teams work 24/7, 365 days a year. When you need help, we’re here for you through our Live Chat or friendly helpdesk. 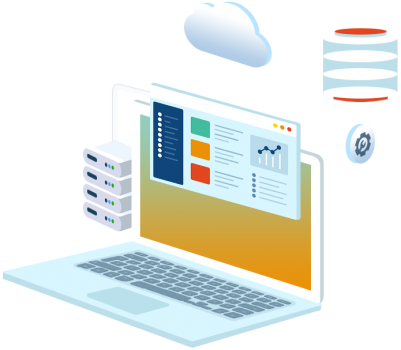 We don’t meter or limit your disk space or bandwidth usage with some of our shared web hosting plans. How can we offer this? Huge hard drives and our 10Gigabit internet back bone mean that disk space and bandwidth are no longer the limiting factors on shared hosting.